mash up of decorations is finally GONE! We are no longer the house of shame. 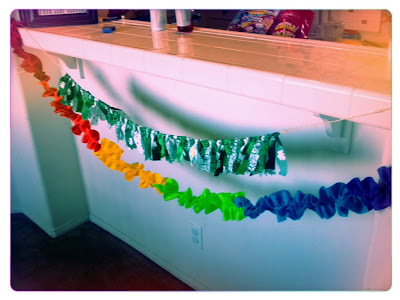 scrap garland - I love craft play dates! thanks so much giving us a fun place to link up! I love all the St. Patrick's day ideas...the lucky charms are GREAT! Thanks so much for hosting! Have a lovely day. Thank you so much for hosting!!! 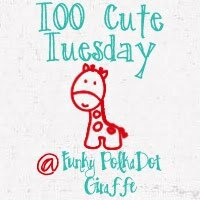 Please come check out my blog hop if you have a chance! I am now following you on all my social network platforms! Have a fantastic week! Thanks for hosting and have a great week! I have your "somewhere over the rainbow" project from last year on my mantle. Love it!Don't forget to wear your green on Saturday-wouldn't want you to get pinched!